Former Manchester United midfielder Paul Scholes says he "would not enjoy" playing in Louis van Gaal's side. 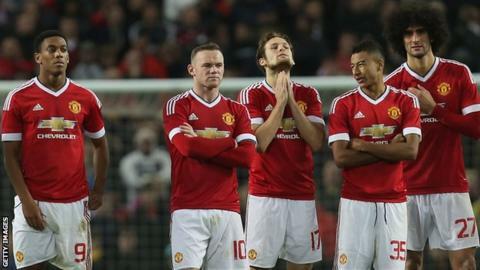 United lost a penalty shootout to Middlesbrough in the League Cup on Wednesday after a goalless 120 minutes at Old Trafford. United are fourth in the Premier League table, two points behind leaders Manchester City, but have now failed to score in their last two games - and Van Gaal has admitted the lack of goals is "a concern". United have scored 15 league goals this season, the lowest among the top four. Captain Wayne Rooney, who missed a penalty in Wednesday's shootout, has drawn criticism for his performances this season after just two goals in nine league games. But Scholes defended his former team-mate, saying any striker would struggle to score in Van Gaal's side.